Our new Term begins on TUESDAY SEPT 11th. 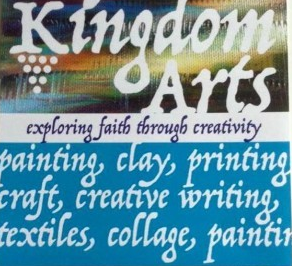 Everyone is so very welcome to join us as we look to express faith through creativity. We gather at 9.30 am for coffee followed by worship and a bible reading on a theme. This is followed by activities using paint, clay, modelling wood,creative writing,needlecrafts etc. The morning ends with a fellowship meal of soup and rolls. Look at our website to see what we do . We have produced a book of photographs of the Exhibition we held this May. Do go and look at our book on the table at the back of church to see some of the art work we have produced. You will be amazed! Free to all and bring your friends. Previous PostAUTUMN CEILIDH @ St George’s Sat 15th Sept 5-8pm with Bring and Share supperNext PostAutumn Quiz Evening Sat 20th Oct 7 for 7.30pm to include two course supper.